Food Water Wellness Foundation is advancing the practice of regenerative agriculture that nurtures a robust ecosystem and healthy soil. 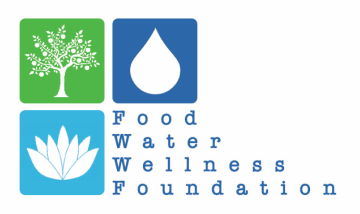 Food Water Wellness Foundation is part of building a food system that produces sustainable livelihoods, nutrient rich food, and environmental regeneration. Our aspiration is to shift the way we produce food and advance the use of regenerative agricultural practices. We want to make regenerative farming a profitable, logical choice for food growers and provide them with the information, connection and community to make this possible. We aim to be part of creating a global ecosystem where all people have access to ample nutritious food, clean water and a healthy, peaceful, environmentally sustainable way of life.